Ichikawa (, Ichikawa-shi) is a city located in northwestern Chiba Prefecture, Japan, approximately 20 kilometers from the center of Tokyo. The city was founded on November 3, 1934. As of April 1, 2012, the city has an estimated population of 469,603 and a population density of 8,180 persons per km². The total area is 57.46 km2 (22.19 sq mi). Ichikawa is also the home of the chief of the ground staff of the Japan Ground Self-Defense Force and the Colton Plaza shopping mall. Its close proximity to Tokyo makes it a convenient location for commuters; it is connected to Tokyo by the JR Chuo-Sobu Line, the Toei Shinjuku Line, the Tokyo Metro Tozai Line, the Toei Asakusa Line, and the Keisei Line. The area around present-day Ichikawa has been inhabited since the Japanese Paleolithic period. Archaeologists have found stone tools dating to some 30,000 years ago. Numerous shell middens from the Jomon period, and hundreds of burial tumuli from the Kofun period have been found in numerous locations around Ichikawa. During the Nara period, Ichikawa was the provincial capital of Shimosa Province and is mentioned in the Manyoshu. During the Heian period, this area was the center of the rebellion by Taira Masakado. During the Sengoku period, it was the site of a major battles (Battle of Konodai) between the Satomi clan and the Late Hojo clan. In more recent history, the area was also the site of some minor battles during the Boshin War of the Meiji Restoration and was promoted as a possible site for the new Diet of Japan by Katsu Kaishu, who envisioned a structure to be built on the Edogawa River similar to the Houses of Parliament in London along the Thames. Ichikawa Town was organized in 1889. 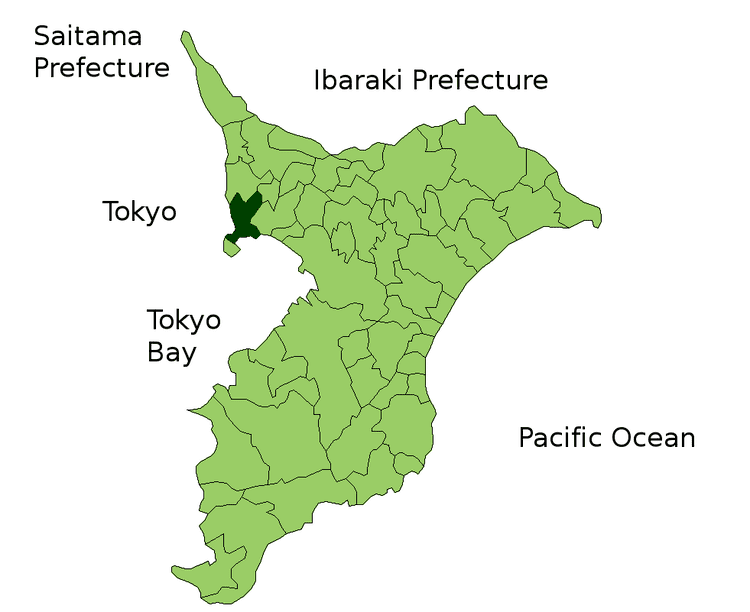 On November 3, 1934 it merged with the neighboring towns of Yawata, Nakayama and village of Kokubun to form the city of Ichikawa. 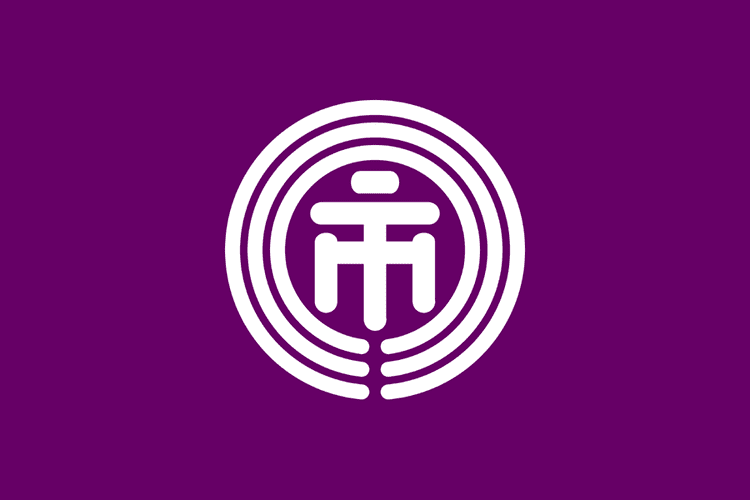 The city expanded by annexing the village of Okashiwa on November 3, 1949, the town of Gyotoku on March 31, 1955 and town of Minami-Gyotoku on October 1, 1956. Nakayama Hokekyo-ji: A Buddhist temple with several national important cultural assets, including a gate and a Hokke-do Hall from the Sengoku period and a Five-story Pagoda built in 1622. Katsushika Hachiman Shrine: A Shinto shrine built in the Heian period. Osu Disaster Prevention Park: Usually used as a recreation and relaxation site, this park is designated as a temporary evacuation and rescue site in times of disaster. Satomi Park: One of Ichikawas main parks, Satomi Park stands on the hilly part of Konodai, with the Edo River running below. It is famous for its cherry trees. Wild Bird Observatory: This facility is equipped with observation telescopes, and it has an exhibition room which is open to visitors. Zoological & Botanical Garden: This garden houses 70 species of animals, mainly small animals such as lesser pandas and orangutans. Nearby is the Natural Museum, Nature Park (Rose Garden), Youth Nature House (Planetarium), and privately managed athletic facilities. Teramachi-dori: Formerly called "Narita-michi" ("Narita Road"), this street was once used by pilgrims on their way to Narita-san Temple. Higashiyama Kaii Memorial Hall: Designed based on Germany, where Higashiyama studied, this two-story building is European in appearance with an octagonal tower. Lifelong Learning Center: Nicknamed "Media Park Ichikawa," this center supports learning for everyone from infants to seniors. The centers main attraction is the Central Library, along with the Audio Visual and Childrens Hall. Clean Spa Ichikawa: Powered by heat from garbage incineration, this facility provides a swimming pool, warm bath, and gymnastic equipment.